Professor and Canada Research Chair - Tier 1- OC, Ph.D., DEng., DSc(hc), FRS, NAE, FREng, FRSC, FCAE, FEIC, FASCE, FIE(Aust), FCSCE, P.Eng, CP.Eng. A winner of both UWO (1996) and OCUFA (1997) Excellence in Teaching Awards, and the Queen's University Award for Excellence in Graduate Student Supervision (2013), he has supervised over 100 graduate students, many of whom have won prizes for their research. He has been recognized by over 110 awards for his research including an NSERC Steacie Fellowship, Killam Prize, Killam Fellowship, R.F. Legget Medal, Sir John Kennedy Medal, The Queen Elizabeth II Diamond Jubilee Medal, Queen's University Excellence in Research Prize, ICE’s Thomas Telford Gold Medal, and the RSC’s Miroslaw Romanowski Medal. He has presented many prestigious lectures including the Giroud Lecture (2002), Rankine Lecture (2005), Manuel Rocha Lecture (2006), Casagrande Lecture (2011), and the Ferroco-Terzaghi Oration (2012). In 2013, the International Society for Soil Mechanics and Geotechnical Engineering created the R. Kerry Rowe Lecture to honour his seminal contributions to the development of geoenvironmental engineering. He has been elected to the world’s oldest and most prestigious scientific society recognizing fundamental contributions to science, the Royal Society (of London, UK). 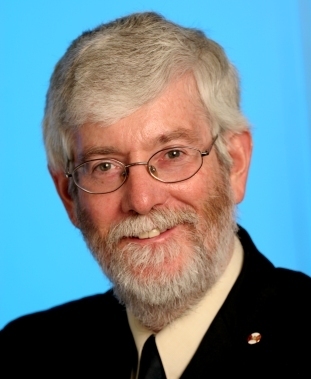 He has also been elected a foreign member of the US National Academy of Engineering, a fellow UK Royal Academy of Engineering and both the Royal Society of Canada and the Canadian Academy of Engineering as well as being a fellow of the Engineering Institute of Canada, Australian Institution of Engineers, Canadian Society for Civil Engineering, and the American Society of Civil Engineers. He is past president of the International Geosynthetics Society, the Canadian Geotechnical Society and the Engineering Institute of Canada. He has been involved in the design and/or peer review of hydrogeology and/or design for more than 60 landfills in Canada, US and other countries, has performed expert reviews of municipal solid waste landfills for the US EPA, US Dept. of Justice, Ontario Ministry of Environment, and Victorian Environmental Protection Authority, and of low level radioactive waste landfills for the Canadian Nuclear Safety Commission. He has served as an expert witness in a number cases subject to litigation in USA, Canada, and Australia. He was the only non-US member of the U.S. National Academies Committee appointed to assess the performance of engineered waste containment barriers. He has is presently serving as the only non-US member of the Scientific Advisory Board for a major NSF funded project. 2017:16th Croce Lecture – highest award of Italian Geotechnical Society, Rome. 2017:Karl Terzaghi Lecture Award – highest award of American Society of Civil Engineers (ASCE) Geo-Institute. 2016: Elected Foreign Member, US National Academy of Engineering. 2015: Miroslaw Romanowski Medal, Royal Society of Canada. 2015: Distinguished Lecturer, Institute of Advanced Study, The Hong Kong University of Science and Technology, Hong Kong. 2014: International Geosynthetics Society Award and Gold Medal for an Outstanding Contribution to the understanding of wrinkling in geomembranes. 2011: Distinguished Geotechnical Lecturer for 2011 ‑ Virginia State University and Polytechnique Institute. 2010: Elected Fellow, Royal Academy of Engineering (UK). 2007: 6th Lovell Distinguished Lecturer, Purdue University. 2006: XXIII Manuel Rocha Lecture, the Portuguese Geotechnical Society, Lisbon. 2005: Distinguished Geotechnical Lecturer for 2005 Monash University, Melbourne. 2005: The Hong Kong Polytechnic University Distinguished Lecturer for 2005, Hong Kong. 2005: Outstanding Contribution Medal, awarded by the International Association for Computer Methods and Advances in Geomechanics for “outstanding and seminal research contributions in geomechanics that have been adopted for basic research and practical applications”. 1999: A.G. Stermac Award for Service to the Canadian Geotechnical Society. 1998: Selected by the IGS Awards Committee to be the Giroud Lecturer (given every four years) at the 7th International Conference on Geosynthetics, in Nice, September 2002. 1997: Professional Engineers Ontario Engineering Medal - Research and Development. 1997: Ontario Confederation of University Faculty Associations Excellence in Teaching Award. 1997: Elected Fellow, Institution of Engineers, Australia. 1996: Edward G. Pleva Award for Excellence in Teaching, University of Western Ontario. 1993: Elected Fellow Engineering Institute of Canada. 1992: Shamsher Prakash Research Award. 1990: International Geotextile Society "Special Recognition"
1989: Steacie Fellowship (1989-91) by the Natural Sciences and Engineering Research Council of Canada. 1986: American Society for Testing and Materials Certificate "For an Outstanding Technical and Scientific Contribution to the Control of Hazardous Waste"
1986: Distinguished Geotechnical Lecturer for 1986 ‑ Virginia State University and Polytechnique Institute (VPI). 1975: The A.S. McDonald Prize of the Association of Consulting Structural Engineers of N.S.W. Peer review: Landfill with elevated landfill temperature [for U.S. Department of Justice and U.S. Environmental Protection Agency]. Peer review of the Tullamarine Monocell for Hazardous waste, Victoria, Australia for Victoria Environmental Protection Agency. Peer review of the Long-term Hazardous waste Containment Facility for the State of Victoria, Australia for Victoria Environmental Protection Agency. Design and/or peer review for more than 40 landfills including: Halton Landfill; Gallatin National Balefill; Grimsby Landfill; Keele Valley Landfill; Adams Mine; Salem Municipal Landfill; Steetley South Quarry Landfill Development; County of Simcoe Landfill in Tiny Township. Flow and Contaminant Transport Modelling or Modelling review (e.g. Uranium tailings disposal, Rabbit Lake; Unitec industrial disposal site; Warwick, Innisfil , Peel, Edmonton, Elm St., Tom Howe, Cambridge, Canborough Landfills, Devilbend reservoir, Australia etc) . Evaluation of geosynthetics (geotextiles, geomembranes and GCL'Äôs) for use in barrier systems. Development of Design Standards for Ontario Landfills for Ontario Ministry of the Environment. Evaluation of the Service Life of the Engineered Components of Landfills. Evaluation of clogging of granular materials and tire shreds used in leachate collection systems. Evaluation of the stability of a waste placed over a peat bog. Over 20 geosynthetics projects including development of design and construction methods for reinforced embankments. Evaluation of the stability and deformations of the Detroit-Windsor Tunnel due to condominium construction. Evaluation of the stability and deformations of the Toronto Transit Commission Tunnel due to overlying construction at York and Bloor St.
Study of the performance of a very deep tunnel in the Venezuelan Andes: Yacambu-Quibor Project. The interface transmissivity between GCL and GMB under various laboratory conditions are being evaluated together with the hydraulic performance of GCL when permeated with solutions representing synthetic mining fluid and MSW leachates. The effect of GMB stiffness and texture, polymer enhancement of bentonite, permeant salt concentration and GCL prehydration conditions are examined for both traditional and multicomponent GCL types. In addition, numerical simulation of leakage in composite liners is also adopted to get a better estimate of leakage rates for various leakage scenarios. Accelerated ageing techniques are used to thoroughly investigate the service life stages of HDPE and LLDPE geomembrane liners used in to contain brine solution by monitoring the antioxidants depletion and the induction of mechanical properties degradation ultimately to the geomembrane nominal failure. Different brine solutions are used to monitor their effect on the geomembrane life stages. Another part of the research focuses on a 25-year-old geomembrane used in the containment of PCB contaminated waste. This part will give an insight on geomembranes produced in that period of time, how being in service for that period has affected their performance and how they compare to modern day geomembranes. The effect of initial stress crack resistance on the service life of the geomembrane is also investigated through physical simulation of a landfill liner profile where geomembrane liners are pre-aged to specific stress crack resistance values. A study on double liners is performed through physical simulations which will give insight into the long-term performance of the various components in the composite liner. Bentonite has been considered as a barrier for nuclear waste repositories for a long time. These barriers are constructed between canister and host rock to isolate the nuclear waste material which is placed inside deep repositories several hundred meters below ground level. Therefore, it is very important to understand the behaviour of under hydro-mechanical loading. This research involves laboratory experiments on bentonite and bentonite sand mixture under various test conditions. The Cobourg formation brine model water is consider as a testing fluid to understand how bentonite sealing materials perform when exposed to highly saline groundwater (200-300 g/L). Consideration is being given to compressibility, swelling pressure, water retention behavior, hydraulic conductivity, microstructure observation, sealing of technological voids subjected to pore fluid under different loading conditions. The performance of geosynthetics is dependent on the installation environment; it is not uncommon for geosynthetics to be used in extreme environments such as the Canadian Arctic or Antarctica. Thus, understanding the impact of external factors, such as freeze-thaw cycles and extreme groundwater fluctuations, on the performance of geosynthetics is necessary to predict their practical viability. Using exhumed samples from Antarctica, various methods, such as x-ray images and permeability tests, are used to qualitative and quantitatively characterize differences in GCLs. Diffusion testing is also being performed on coextruded geomembranes for common groundwater contaminants. Geosynthetic Clay Liners (GCLs) used as part of composite liner systems typically have a very low hydraulic conductivity when permeated with deionized water or tap water under a certain stress. However, the hydraulic performance of GCL is dependent on the extent to which it is hydrated in hydraulic containment applications. Laboratory experiments are being conducted to investigate the level of moisture uptake by GCL when it is in direct contact with permeant or subgrade. Different types of GCLs either with or without defects are placed in a permeant or on a subgrade to subject them to hydration and the variation of moisture content is being monitored periodically. Hydraulic conductivity tests are performed at the end of test in flexible wall permeameter. Consideration is being given to a range of stresses from low to high and subgrade with different initial moisture contents and grain size distribution are being examined. Geomembranes (GMBs) are used in various applications including landfills, mining facilities, and potable water reservoirs. In this study, accelerated aging tests will examine: (1) The effect of texturing on antioxidant depletion rate and degradation of physical properties of a high density polyethylene GMB, (2) The effect of morphological changes on the stress crack resistance of a wide range of GMBs, (3) The performance of high density polyethylene (HDPE), linear low density polyethylene (LLDPE), and blended polyolefin (BPE) GMBs in chlorinated water, and (4) The service life of LLDPE and BPE GMBs in heap leach pad applications. The durability and long-term performance of high density polyethylene (HDPE) geomembrane (GMB) sheet and duel wedge welds are being examined in MSW landfill leachate and brine are being investigated. The research is examining (a) the GMB sheet away from the weld (SAW); (b) the heat affected zone beside the weld (HAZ); and (c) the welded zone (Weld), to investigate (i) the long term performance of geomembranes used as a component of the liner system and (ii) provide new insight regarding the long-term performance of wedge welded HDPE GMB seams. In addition, consideration is being given to the long-term performance of GMB sheet in high and low pH mining solutions and GMB exposed to solar radiation. Geomembrane have been widely regarded as an effective tool in reducing seepage and hydraulic gradient at Tailings Storage Facilities. However, geomembranes are prone to bear defects (holes) from installation, and their eventual degradation. Through past research, it has been shown that tailings can partially clog up these defects, and limit leakage through the defects. However, this clogging is predicated on several possible conditions: filter compatibility of tailings to the underliner materials, size of defect, and the stress condition. This study explores how sensitive the clogging effect is to the aforementioned conditions through large scale testing via Geosynthetic Liner Longevity Simulators developed at Queen's. The study aims to empirically define performance limits of geomembranes used as barriers in tailings storage applications, in challenging foundation conditions. High density polyethylene (HDPE) geomembrane is the most commonly used material for containment of contaminated fluids, soils, and waste. The geomembrane sheets are bonded together using a hot wedge welder or extrusion gun to melt and fuse overlapping sheets. Installation quality is largely determined by the experience of the welding technician, as there are currently few guidelines on how to adjust welding parameters, especially to suit harsh environmental conditions. Welding speed, temperature, and pressure are welding parameters which are controlled by the technician and need to be correctly balanced to produce an weld which meets field acceptance criteria. However, uncontrollable parameters such as extreme hot or cold ambient temperatures, intense sun exposure, and the presence of moisture can lead to complications during installation. In particular, installation of HDPE geomembrane during extreme cold condition (ambient temperature <-25°C) is known to cause stress cracking along HDPE seams. Laboratory studies are being conducted to examine the effects of the welding parameters have on the various short and long-term properties of a geomembrane. Emphasis will be put on optimizing welding procedures to mitigate stress cracking failures during cold weather installation. In landfill composite liner systems, GCLs are initially hydrated by moisture from underlying soil prior to exposure to waste leachate in order to reduce its hydraulic conductivity and improve performance. As a follow-up to Hosney et al’s (2016) research findings on the isothermal hydration of GCLs with powdered bentonite, this study comprises a series of laboratory experiments that monitors the performance of six different types of isothermally hydrated GCLs. The effects of varying subgrade water content, effective stress, bentonite grain size and polyethylene coating on the woven carrier geotextile on the performance of the prehydrated specimens are also investigated. In addition, three GCL types are tested for moisture uptake under thermal cycles and compared to the isothermally hydrated specimens. The performance of geocomposite drains in simulated landfill conditions. Geocomposite drainage layers consisting of a high-density polyethylene (HDPE) geonet bonded with one or two geotextiles are often used in landfills to convey fluids. In particular, when used in leachate collection systems or leak detection systems, geocomposite drains are subject to significant stresses. There have been many studies to explore how ageing affects HDPE geomembrane properties, but it is not known how geocomposite drains will perform when subject to the conditions beneath a landfill after a significant amount of time. It is also not known how geocomposite drains will interact with surrounding materials, including geomembranes and gravel. Geosynthetic Liner Longevity Simulators will be used to simulate the conditions geocomposite drains are subject to in the field in order to create a better understanding of their long-term performance. Publication: Quinn, P.E., Diederichs, M.S., Rowe, R.K. and Hutchinson, D.J. (2011). “A new model for large landslides in sensitive clay using a fracture mechanics approach”, Canadian Geotechnical Journal, 48(8):1151-1162. Publication: Rowe, R.K and Abdelatty, K. (2012). “Modeling contaminant transport through composite liner with a hole in the geomembrane”, Canadian Geotechnical Journal, 49 (7): 773-781. Publication: McWatters, R. and Rowe, R.K. (2010). “Diffusive transport of VOCs through LLDPE and two Co-Extruded Geomembranes”, ASCE Journal of Geotechnical and Geoenvironmental Engineering, 136(9): 1107-1177. Publication: Taechakumthorn, C. and Rowe, R.K. (2012) “Performance of a reinforced embankment on a sensitive Champlain clay deposit”, Canadian Geotechnical Journal, 49(8): 917-927. Publication: Hoor, A. and Rowe, R.K. (2012) “Application of tire chips to reduce the temperature of secondary geomembranes in municipal solid waste landfills”, Waste Management , 32:901-911. Publication: Mabrouk, A. and Rowe, R.K. (2011) “Effect of gassy sand lenses on a deep excavation in a clayey soil", Engineering Geology, 122(3-4):292-302. Publication: Chappel, M.J., Rowe, R.K., Brachman, R.W.I. and Take, W.A. (2012). “A comparison of geomembrane wrinkles for nine field cases”, Geosynthetics International, 19(6): 453-469. Publication: Yu, Y. and Rowe, R.K. (2012) “Modelling leachate-induced clogging of porous media”, Canadian Geotechnical Journal, 49(8): 877-890. Publication: Abdelaal, F.B., Rowe, R.K. and Brachman, R.W.I. (2014) “Brittle rupture of an aged HDPE geomembrane at local gravel indentations under simulated field conditions”, Geosynthetics International, 21 (1): 1-23. Publication: Ewais, A.M.R. and Rowe, R.K. (2014) “Effects of blown film process on initial properties of HDPE geomembranes of different thicknesses”, Geosynthetics International, 21(1): 62-82. Publication: Hosney, M.S. and Rowe, R.K. (2013) “Changes in GCL properties after two years in a cover over arsenic-rich tailings” Canadian Geotechnical Journal, 50(3): 326-342. Publication: Liu, K-W. and Rowe, R.K. (2015) “Numerical modelling of prefabricated vertical drains and surcharge on reinforced floating column-supported embankment behaviour”, Geotextiles and Geomembranes, 43(6): 493-505. Publication: Joshi, P., Rowe, R.K. and Brachman, R.W.I (2016) “Physical and hydraulic response of geomembrane wrinkles underlying saturated fine tailings", Geosynthetics International. Publication: Bostwick, L.E., Rowe, R.K., Take, W.A. and Brachman, R.W.I. (2010). “Anisotropy and directional shrinkage of geosynthetic clay liners”, Geosynthetics International, 17(3): 1-14. Publication: Beddoe, R.A., Take, W.A. and Rowe, R.K. (2011). “Water retention behaviour of geosynthetic clay liners”, ASCE Journal of Geotechnical and Geoenvironmental Engineering, 137(11): 1028-1038. Publication: Verge, A.E. and Rowe, R.K. (2013) “A framework for a decision support system for municipal solid waste landfill design”, Waste Management & Research, 31(12): 1217-1227. Publication: Rowe, R.K, Brachman, R.R.W., Irfan, H., Smith, M.E., and Thiel, R. (2013) “Effect of underliner on geomembrane strains in heap leach applications”, Geotextiles and Geomembranes, 40: 37-47.